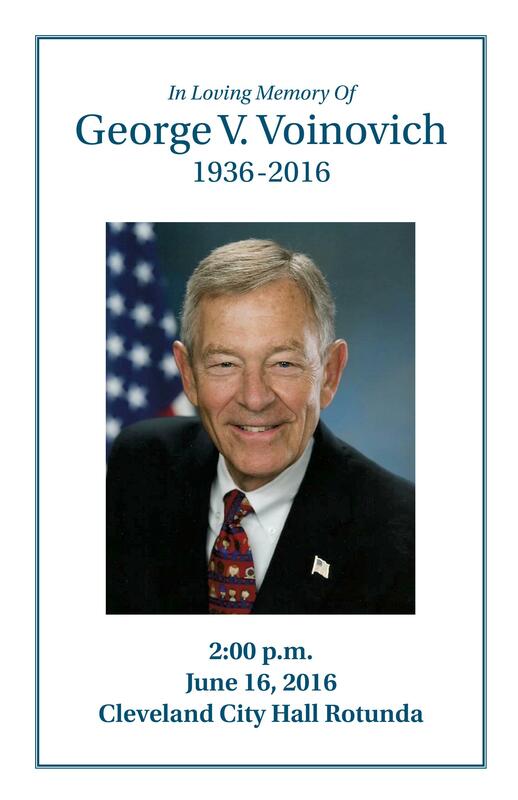 The Honorable George V. Voinovich will be Lying in State in the Rotunda of City Hall on Thursday, June 16th. The viewing will be open to the public at 10:00 am until 2:00 pm. The public viewing will cease immediately at 2:00 pm for a brief program. City Hall will be open for regular business on Thursday, June 16th. 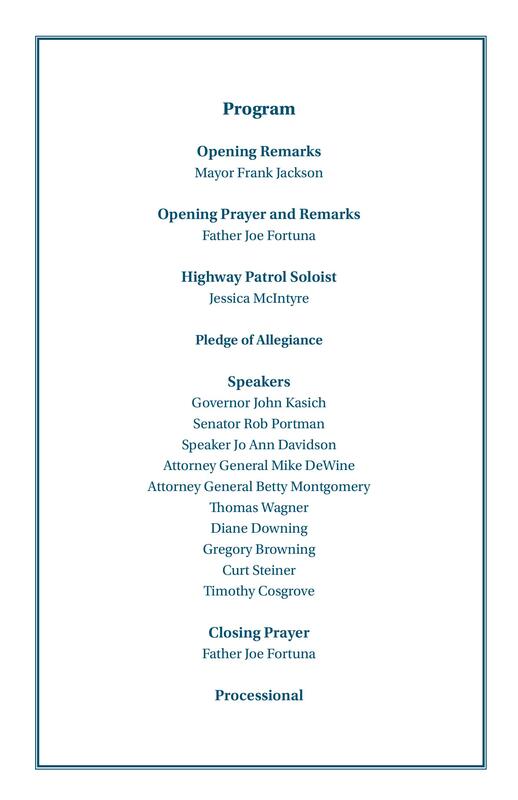 The City of Cleveland encourages members of the public to utilize RTA if traveling to the ceremony at City Hall. The B-Line Trolley makes frequent stops at City Hall and other downtown locations. The viewing will be live streamed, please check with your local media outlets for streaming information. Intermittent closure of Lakeside Avenue at Ontario Street at 10:00 am. Intermittent closure of Lakeside Avenue at East 9th Street at 10:00 am. Full closure of Lakeside Avenue at 12:00 pm. Traffic can use East 9th Street to access Willard garage for business at City Hall. All other traffic re-routed to St. Clair Avenue to continue westbound or eastbound.